Thanks Stoli for sponsoring today’s post! I love that they now have a gluten-free vodka! 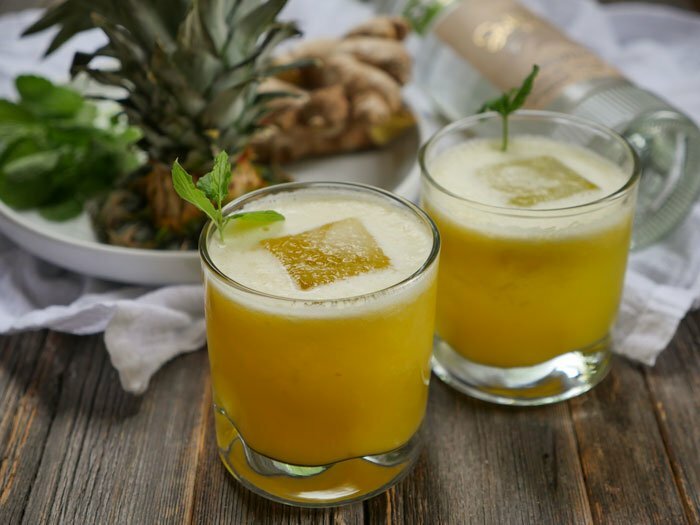 This tropical cocktail is spicy, sweet, slightly tart and absolutely refreshing. It’s the perfect drink for a hot summer’s day. 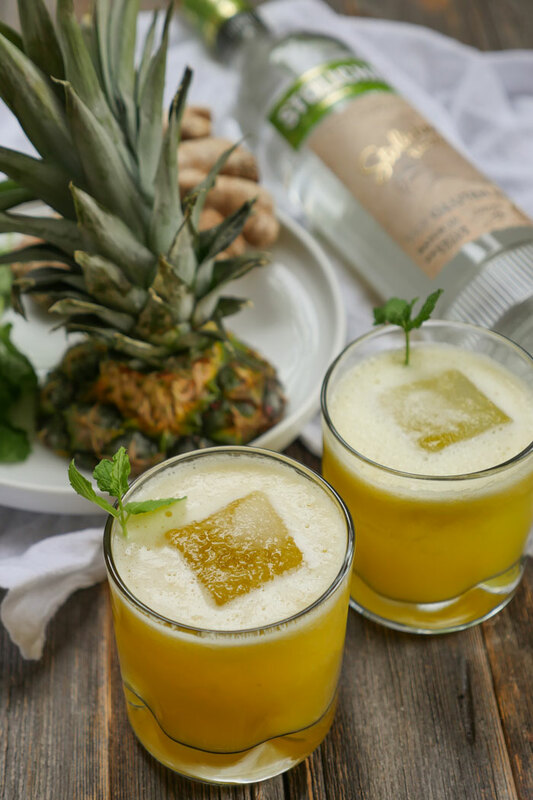 The great thing about my spicy pineapple coconut cocktail is that it’s naturally sweetened – there’s no added sugar or simple syrup in the recipe. 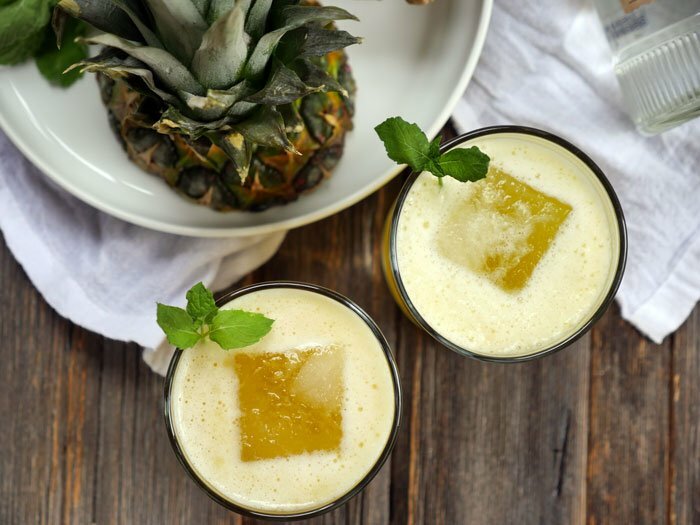 The sweetness comes from the pineapple and coconut water. And the spicy after-note that pairs so well with the fruity flavor of this drink? Fresh ginger! There’s one special ingredient in this cocktail that I have yet to mention… vodka! It’s obviously what makes this cocktail a cocktail. And the great thing about the vodka that I used? It’s gluten-free! 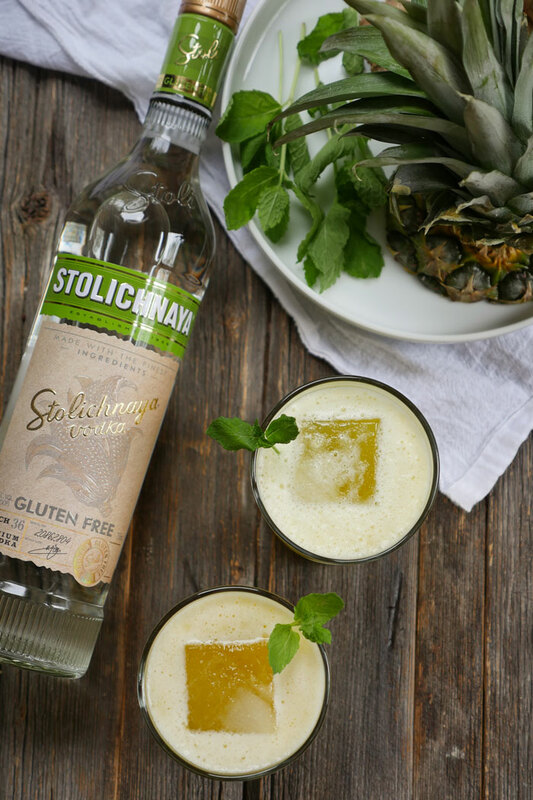 Stoli (a huge global brand) recently introduced a gluten-free vodka! I usually buy potato vodkas from lesser-known brands but they can sometimes be tough to find. Stoli has been a staple in our home bar for years but now I’m replacing my red bottle with this pretty green one. And for those who are wondering, Stoli Gluten Free is made up of 88 percent corn and 12 percent buckwheat! 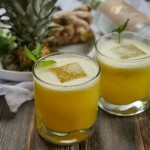 Oh and just a little tip for those of you who prefer a sweeter cocktail, feel free to add a bit of cane sugar when pureeing your pineapple. Combine all of the ingredients together in a cocktail shaker and add ice. Shake. Finely strain into a glass with ice. I worry about GMO corn so I am not sure I would use the Stoli. I am glad I am not allergic to gluten so I can have an occasional drink. Can’t wait to try this one. Looks yummy. Grate or mince it first 🙂 Hope that helps! When I have a drink I use Ciroc vodka. It’s made with grapes! You can find it anywhere. This drink sounds delicious! I’ll try it for sure!